The Dalt Muntanya Hotel boasts a privileged situation in Orient, a small village in the municipality of Bunyola. 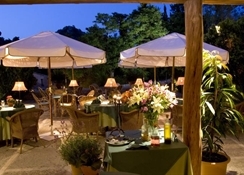 Surrounded by mountains in one of the most fertile areas of Mallorca, between the Serra d''Alfabia and the Puig d''Alaró, the 3-star accommodation provides a quiet and unique natural setting combined with the best facilities. For pampering moments and sheer relaxation there is also a delightful garden with anoutdoor swimming pool. Outstanding cuisine is served at the hotel''s restaurant, where a fine selection of menus is available for dinner and lunch. Guests can enjoy a bar and a terrace, as well as free parkingand free Wi-Fi in guestrooms. This Bunyola offers restaurant and bar . Guests also have access to an outdoor pool , a terrace and tour ticket assistance . 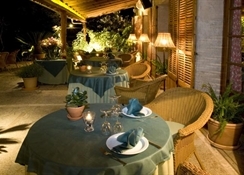 Guests can enjoy freeparking .Hotel Dalt Muntanya features a restaurant and a bar/lounge. Recreational amenities include an outdoor pool. Guest parking is complimentary. Additional property amenities include tour/ticket assistance and a garden. 18 air-conditioned guestrooms at Hotel Dalt Muntanya feature safes and hair dryers. All accommodations have balconies. Bathrooms feature rainfall showerheads, bidets, and complimentary toiletries. Wireless Internet access is complimentary. Satellite television is provided.rooms have balconies .rooms have balconies . The 18 air-conditioned guestrooms at Hotel Dalt Muntanya have safes and hairdryer . Guests are offered free wi-fi . Televisions have satellite channels . Bathrooms feature showers with rainfall showerheads , bidets and complimentary toiletries . 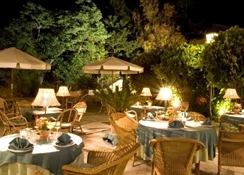 Hotel Dalt Muntanya located in Bunyola (Tramuntana), close to Castillo de Alaro . Other attractions include Puig Mayor and Ferrocarril de Sóller train station, Soller.